Hi, TechnoDripians!! Hope you all enjoyed our previous articles on Amazon Offer and Airtel Money Offer On Ebay. Are you suspicious of talking to your friends and family located in different countries because of tremendous phone bills? But still struggling to keep in touch with them? Here is an end. I am here to help you. Just download Whatscall App and all your worries will go. Using Whatscall, call to anyone, anywhere. Yes!! It's absolutely free of cost. Whatscall was introduced by Cheetah Mobile Communications. 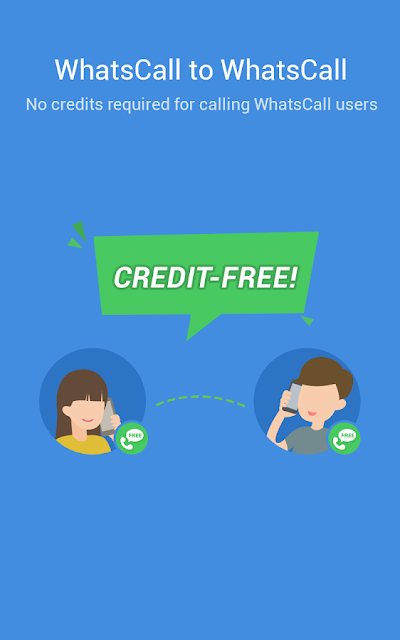 They offer calls just for free of cost to more than 230 countries. ➋ Open Whatscall & enter your mobile number. ➌ Now, verify via OTP. ➍ After verification, enter your name or import from Facebook or Gmail. ➀ Go to 'Me' Tab. ➁ Click on 'Invite friends to Whatscall'. ➂ Now, it will redirect to Whatsapp. ➃ Now, you can share your referral link to get 1000 credits for each sign-up. ➄ Your friend can also avail 1000 credits. ● Enjoy calls that are absolutely free of cost. 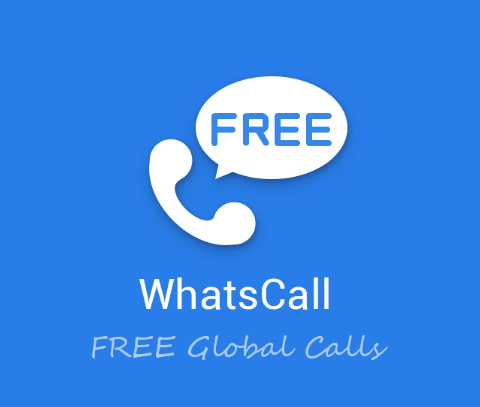 ● Whatscall to Whatscall is credit free. ● Caller ID & call blocks. ● Call to any mobile or landline numbers in more than 230 countries. ● Whatscall takes pride in the innovation & optimisation of IP-PSTN call quality. So friends, what are you waiting for? Download Whatscall, have free credits, have free phone calls and say 'goodbye' to hefty phone bills. Now, you will be always in touch with your friends and family. Hello, loyal blog readers!! I introduced several Amazon offers like 60% Off On Abof Clothing, Amazon Prime Subscription Free For 1 Year, etc. Now, I am introducing another amazing Amazon offer for availing Rs.450 cashback and also a Rs.100 extra off. Interesting, right? Yes, it is!! Actually, this offer is available from December 15, 2017. As you know, Amazon is the leading online shopping destination and is unique with their services. So, you can grab this offer from the period of 15th December 2016 to 15th January 2017. It's still in line!! So, log in to Amazon.com and have your offers now. For availing extra Rs.100 off the user should be new one and the minimum purchase should be above Rs.300. ➊ Redirect to Amazon.com and login or register your Amazon account. ➋ If you are a new customer register first (mandatory to avail Rs.100 extra off). ➌ Then, go to Amazon Prime activation page and activate prime trail. ➍ Now, top up your Amazon balance (mandatory because direct payment will not be eligible for the cashback). ➎ Now, enter the amount of your product. ➏ Add the amount to Amazon Pay Balance. Then, choose your product. ➐ Enter your details to be shipped. ➑ Select a suitable payment option. ➒ Then, you will be redirected to the payment page to make payment using Amazon balance added. ➓ Now, your product will be delivered as soon as possible and will get 15% cashback + Rs.100 extra off with 30 days as Amazon Pay Balance (for new users). ● Offer's duration is from 15th December 2016 to 15th January 2017. ● Total spendings using Amazon Pay Balance should be Rs.100 or more than that. ● Offer applicable on the total spent made during the offer period. ● Offer applicable on the spendings via Amazon Pay Balance. ● Customer will receive the cashback in the form of Amazon Pay Balance which will credit by 22nd January 2017 (maximum). So, friends!! Hurry!! Grab the offer as soon as possible. Don't forget about the duration upto January 15th, 2017. Stay tuned for more exciting offers. Hi, TechnoDrips readers!! Today we are back with an amazing new offer on Ebay via Airtel money. As you know, Airtel money let you to recharge, send or receive money, shopping, make bill payment, etc. Now, on this weekend they introduce a new off in Ebay. Airtel Money now introduces Rs.1000 + 10% cashback (upto Rs.200). So, don’t wait!! Grab it as soon as possible before the offer get fly off. ➀ Sign up to Airtel Money if you don’t have any account. ➁ Visit Ebay.in from here. ➂ Now, sign up or log in. ➃ Choose your favorite product. ➄ Click on Buy It Now. ➅ Apply the coupon AIRTEMPOF1 to avail the offer of 10% discount. ➆ Pay the amount via Airtel Money. ● Offer is valid only for Airtel Money customers. ● Maximum casback per transaction: Rs.200. ● Customers can avail offer by applying coupon code: AMEBAY. ● Existing Airtel Money users can also avail this amazing offer. ● In the event of a full or partial refund, cashback will be deducted respectively from the customer’s Airtel Money wallet. ● In any disputes, Airtel Money’s decision will be primary. ● Offer is valid till 31st January 2017. ● Not applicable for offline purchase. ● Airtel Money does not warrant availability of inventory on the Ebay platform. So, Ebay fans now start purchasing with this offer via Airtel Money. Grab it quickly! !